We’ve heard all the arguments for adding water, ice or stones etc. to whisky, but in general we drink our whisky neat and lightly warmed (or hot if we forget to take it away from the heater in time!). Warming the whisky volatises it and allows you to really get all those exciting molecules onto your scent receptors, which is far harder to do when the whisky is cold. Remember, smell is half of the flavour! 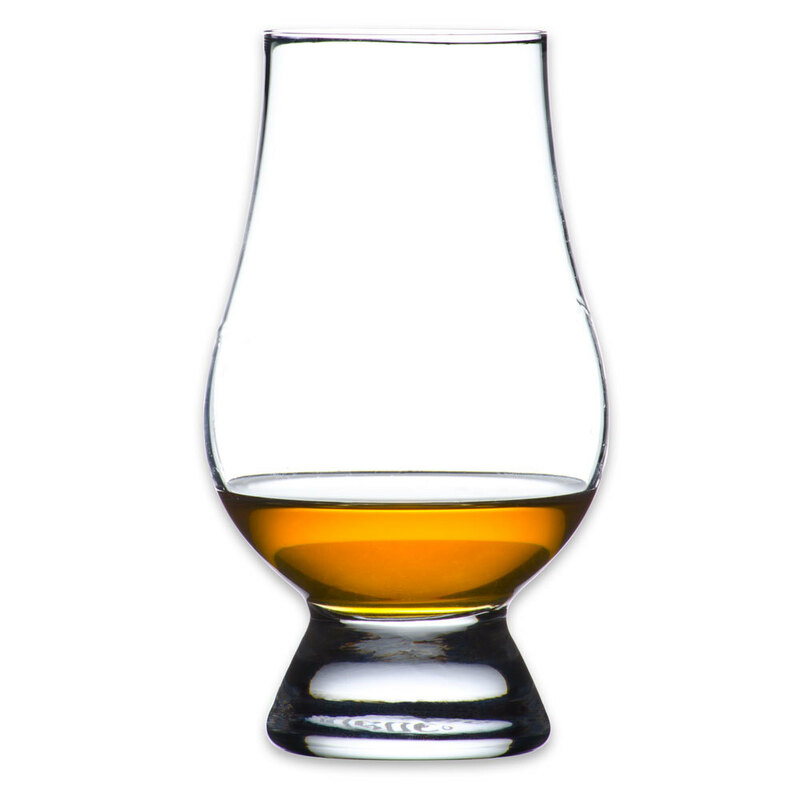 Using a curved glass helps trap the vapours and stops them from escaping into the wild, which is why we like to use vessels such as pinot glasses, or our favourite, the Glencairn glass, rather than the traditional whisky tumbler. Of course, drinking is a democratic pastime and it is entirely up to you how you do it (although we may make an exception if we hear of anyone mixing a Lagavulin 16 year old with soft drink. We’ll hunt you down and jolly well send you a strongly worded letter!) Take the time to experiment and find the way that gives you the most enjoyment. Our preferred vessel for drinking whisky – and, un-coincidently the icon for this page!